Belmont BASEC at Chenery – Workshops for kids! Since 2004, Andrew has been the director of after school programming at the Burbank School. With Kendra Blitz and volunteer parents from the community, he founded the BASEC organization in 2010. Andrew completed his undergraduate studies in politics, economics and law at Brandeis University and his Masters of Education from Lesley University. Amanda has been with BASEC since 2015. She completed her undergraduate degree from UNH with a bachelors in Sociology and received her Masters of Education in School Counseling from Cambridge College. Amanda enjoys making connections and supporting students and she is passionate about providing a program for families that allows students to learn, play and grow! Danielle has been with BASEC (and its predecessor, ChenEx) since 2007. She has a degree from Lesley University in Human Development and Family Studies with a minor in Education. Danielle is a second generation Belmont native and looks forward to continuing to build and strengthen her connections within her hometown! Sarah has been with BASEC since 2010. She has a hand in all of BASEC’s programming and is a go-to for parents, students (and teachers!) for questions and correspondence. Annie G. is in her third year at BASEC. Before coming to BASEC, she taught for 5 years in the Cambridge Public Schools and worked in after school programming for over 10 years. 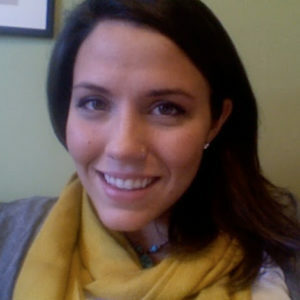 Annie G. also has her M.Ed in Out-of-School Time Program Development and Improvement. Her work passions include science with kids and professional development. Cate is thrilled for her fifth year teaching Performing Arts classes, and creating and directing performances with the students. Cate has a B.A. in Theater and a B.A. Communication with a Film Studies Certificate from UMass Amherst. Outside of BASEC, Cate is an artist exploring the world of Songwriting, Music Production, and DJing. She has been with BASEC since 2013. James has been the Sports Specialist for BASEC @ Chenery since 2010. He has a degree in Psychology from UMass Boston. Amber, a California native, earned her Bachelors Degree from UC Santa Cruz (Go Slugs!) in 2009. Since moving to New England, she has held various leadership roles in local nonprofits with a focus on youth work and hunger relief. She grew up volunteering with her mother and sisters and attributes her deep passion for community engagement to these formative experiences. She has been with BASEC since 2014 and strives to connect Chenery students to their community through thoughtful, engaging service projects. Jamie received her Bachelors Degree in Art Education from Molloy College and her Masters of Education in Community Arts from Lesley University. She has been with BASEC since 2016, and feels incredibly lucky that she gets to spend her days creating art with enthusiastic children! Kaitlyn joined BASEC in 2018 as the STEM Specialist. She recently graduated with a degree in Neuroscience and Psychology from Brandeis University and is incredibly excited to be doing science projects with the creative, bright students at Chenery! Trevor, a Belmont Native, graduated from Hartwick in upstate NY with a B.A. in Sociology. Instrumental in founding the Branch program for BASEC, Trevor has been with BASEC since 2012. Jeremy has worked for BASEC since 2013 and is in his second year working as part of the Branch program. He grew up in Belmont and received a degree in American History from Boston University. He also worked as a Professional Aide in 8th grade classrooms at Chenery during the 2016-2017 school year. Andrea, or Ms. Grant as the students call her, has been with BASEC and its predecessor since 2002. She has her graduate degree in Education from Cambridge College. Alex, a Belmont native, has been with BASEC since 2008. She is working on her undergraduate degree at Middlesex Community College. Melissa has been with the Belmont Public Schools for twenty-four years and with BASEC since 2014. She is a Belmont native and has three children who attend Belmont Public Schools. Carter joins the BASEC team in 2017! He has a degree from UMass Amherst in Psychology. Jen has been with BASEC since 2016. She is a Belmont native and her kids attend the Burbank! Nicole joined BASEC in 2016. She is also a fifth grade classroom teacher at the Chenery! Pete has been with BASEC since 2015 but joins us full time in 2018! He is one of our Branch lead teachers. Adele rejoined the BASEC team in 2017. Formerly, she worked for BASEC’s predecessor at Chenery: ChenEx. She also teaches in Lexington. Gaelen joined BASEC in 2018. His previous experience includes coaching, tutoring, and working as a classroom assistant. He attended UMass Boston, where he played on the basketball team. Elyse is an actor and educator from New Hampshire with a love for travel and dance. An MFA Physical Theatre graduate from Accademia dell’Arte (Arezzo, Italy), she taught workshops and worked with theatres in Czech Rep., Germany, and Italy. She’s excited for this new chapter and the opportunity to collaborate with BASEC’s inquisitive students and generous teachers! Joanne joins the BASEC team in 2018! Olivia Colman, Gilchrist Imboywa, Maddie Mulkern, Lucky Namugenyi, Angela O’Toole, Kiwa Shinoda, Sambridhi Subedi.